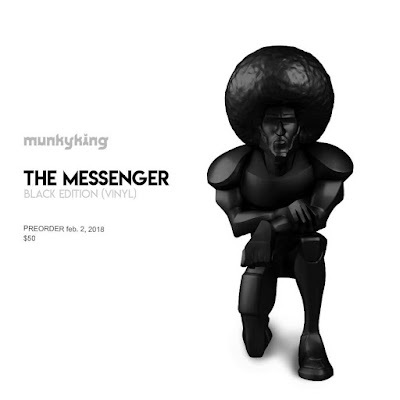 While the first resin version of Munky King x kaNO’s The Messenger drops this weekend, the first vinyl colorway drops tomorrow! Inspired by Colin Kaepernick and the #TakeAKnee movement, the Black Edition The Messenger will go up for pre-order at 3pm PST on Friday, February 2nd, at MunkyKing.com just in time for the NFL’s Super Bowl LII. 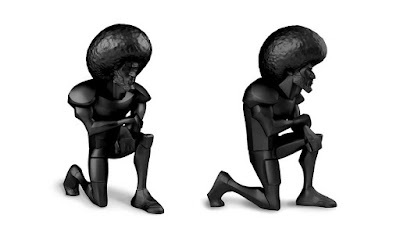 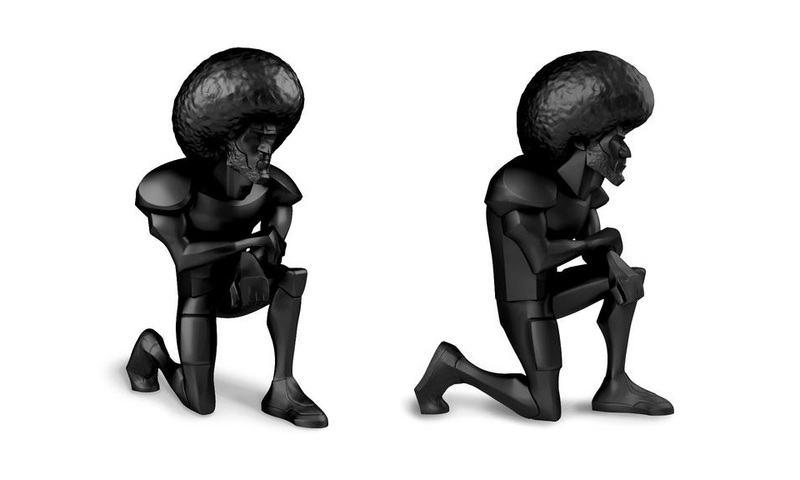 This 6.5” vinyl figure will retail for just $50, with a portion of all proceeds going to support Know Your Rights Camp.